Night passage. – Dirty wet dog , boats and sailing. Today i feel i should start with both an apology and a thanks : actually make that several apologies !. My first apology is that i don’t have any new photographs to post with the rest of this weeks blog posts and that isn’t because i did something typically ‘me’ and forget to take the camera but that its battery is dying and the spare had somehow fallen out of the camera case when i was organising the kit. 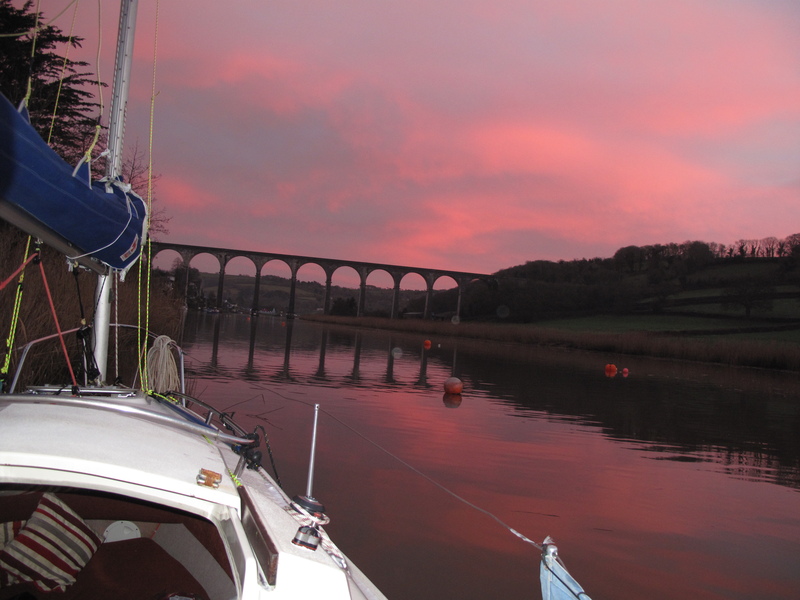 That’s a bit of a shame because i have just done a night passage in the river on an overcast night with almost no light and then gone on the have 3 days intensive sailing mainly in the way of sea trials with all the modifications and experiments. When i was sitting in the boat this afternoon as she settled back down into the mud i made a new list of about half a pages worth of titles for new posts….not that difficult now that i am in the habit of one word titles but it does mean that there is a lot of new content posts. As for the night passage itself, simple enough in that after work i dashed home to drop some things off, picked up some kit, went shopping and then went straight down to the boat. It took me about an hour and a half to make ready to go which affected my timing in that i really wanted to do the downriver passage on a rising tide just in case i stuffed-up badly and leaving as i did on the top of a tide that is still heading towards neaps was a small additional pressure. I thought for a while that i wouldn’t make the passage due to the light being so poor but that was simply because my night vision was continually being spoiled by having to use a torch outside the boat to do the jobs and then the automated lights coming on every time i to the car and back. Once i just stopped and sat in the cockpit for a while i found my night vision rapidly improving : i am quite happy being out and about at night, i frequently used to go for night walks and practice my bush skills at night and have sailed plenty in the dark although usually offshore and trans-ocean. The river hazards are just a bit different mainly in that there are a lot of ‘widow-maker’ sections of half submerged trees all down parts of the river and not good things to spike the boat on !. The trick by the way is to use a bushcraft technique ie to use a good powerful torch but when doing so to only open one eye and only use the torch in short bursts just to orientate position and direction. I did have to ‘handrail’ a couple of the very dark sections where there was deep shadow but generally it went ok, i am beginning to know the river well enough to know where the main problems are and where the few boats still moored out actually are. I did have a farcical few minutes when the outboard cut out, its never done that before and i guess it helps when the owner remembers to fill the tank up : it did give me the opportunity to ‘crash’ anchor the boat by deploying my new anchor off the stern….seemed to go ok and shortly after that i got to my actual anchorage, by then the place that i really wanted to be was too dark to gauge the position and of course the depth sounder decided to have the night off so i had to guess the depth by the amount of ‘drop’ the anchor took when i released it and guessed at a more central position than i would normally chose on that section of river. First time out on the river at night this year and in February too : i was pretty darned cold when i stopped and finally got below, i don’t remember what i had to eat but that i was glad to get a hot drink and settle under my winter sleeping bag just listening to the sound of the river and the woodland bank. Great story and some good pointers in there Steve. Thanks for sharing.